Swing High Swing Low Indicator plots a dotted line where levels of support or resistance have formed. 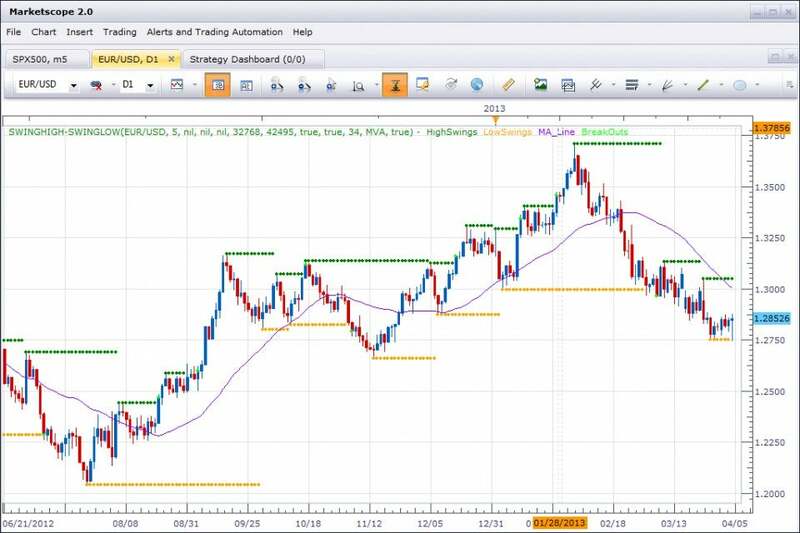 By examining those support and resistance levels, traders can then create their own entries, stops and profit targets. By adjusting the Strength parameter, users can adjust the frequency of highs and lows identified by the indicator. Strength: Strength of support/resistance levels. Indicates how many bars are used to calculate where the dotted lines are plotted.